I have always been a fan of history, right from when I was a small child. For those of you who read my posts regularly you’ll have noticed already the I have something of an obsession for the old and the half-forgotten. For this post I decided to combine my love of history with my love of scribbling. I don’t claim to have any great talent for drawing, but I do find it relaxing and really good fun. 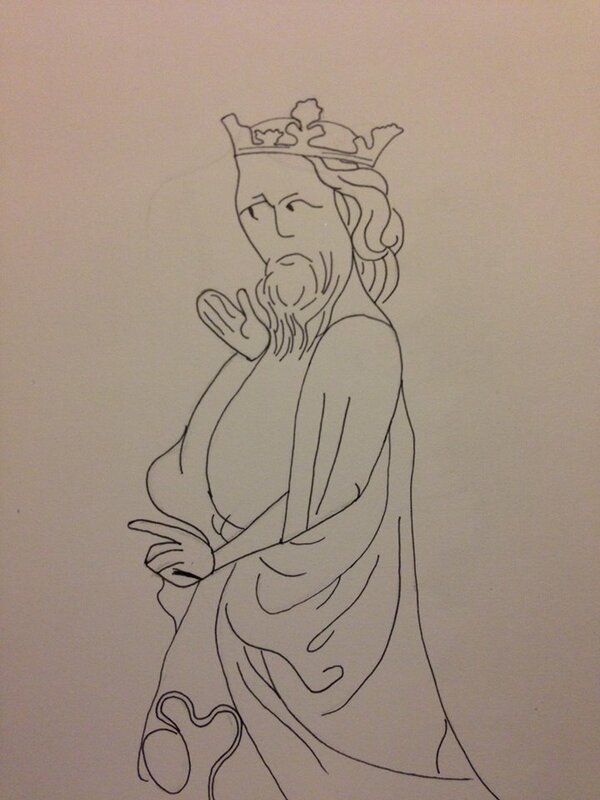 The first of the doodles above is taken from a 1337 French illustration. I’m assuming that it’s Philip VI of France but that might be wrong. The original image doesn’t name the character but Philip VI fits with the time and provenance of the artwork. The original illustration depicts St Eligius pinching the devil’s nose, a story from the First Crusade. 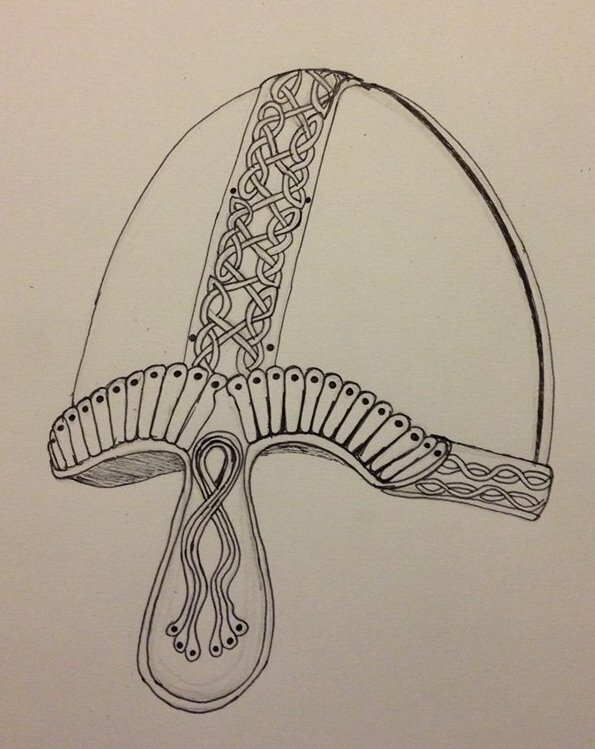 Image number two is a doodle of a Norman helmet. It’s a little more ornate that the traditional image of a Norman helmet but I quite liked the extra challenge the detail added to the piece when trying to sketch it correctly. The knot-work going up the top of the helmet took the longest to draw, especially where the two lines intercept. According to my Grandfather’s side of the family, my mum can trace her roots back to the Doomsday Book and Sir William Swinnerton, a Norman knight who came over with William the Conqueror. I’ve not seen any proof of the connection for myself but it’s a nice story to pull out at parties. Anyway. That’s my contribution for yesterday’s Daily Prompt. Not much I know, but hopefully is this case short equals sweet.